Three new industrial locations have been awarded BNSF Railway Company’s (BNSF) Certified Sites designation. These new Certified Sites are located in Enid, Oklahoma; Libby, Montana; and Northgate, Saskatchewan. The Ceres Northgate Terminal is BNSF’s first Certified Site in Canada. In order to be considered for the designation, sites must undergo a thorough analysis which includes an evaluation of environmental and geotechnical standards, available utilities, site availability and existing and projected infrastructure. The Easterly Industrial Park, Enid, Oklahoma is located on BNSF’s Southern Transcon route and served by three U.S. highways. Featuring more than 300 acres, the Easterly Industrial Park is zoned for heavy industrial use. The second site, Kootenai Business Park, Libby, Montana, is a new 5,000 ft lead track from the Kootenai Business Park connecting directly to BNSF’s Northern Corridor. Of the 400-acre development, 120 acres of the park, located on U.S. Highway 2, are ready for development. Ceres Northgate Terminal, Northgate, Saskatchewan, the third site, is situated along Saskatchewan Highway 9. With a BNSF line leading south from the facility to the Northern Corridor, the Ceres Northgate Terminal features two high-efficiency loop tracks and 1,300 acres ready for immediate development. 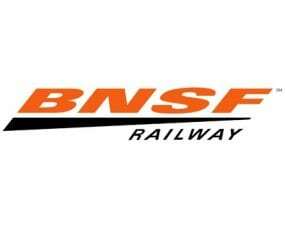 Certified Sites are a part of BNSF’s Premier Parks, Sites and Transload program. The program is a strategic approach that addresses the increasing demand for customer site locations by developing various types of facilities across BNSF’s network. Businesses looking to locate at any of these properties could save six to nine months of construction time, according to BNSF, as a result of this analysis. The goal of the program is to provide an inventory of rail-served sites that are available for immediate development.